The Kids & Carols scheduled for Thursday evening, December 1st has been rescheduled for December 5th right after the Christmas Parade. Santa will be in front of the Courthouse as soon as he can park his sleigh, we will have the lighting of the Christmas Tree and the Louisville Lions Club will be serving hot chocolate for the kids. After late afternoon and early evening activity that saw some damage in SE Winston County along Ebenezed Church Rd and County Line Rd, things have calmed at least temporarily. The risk of further bad weather continues into the morning hours onWednesday and the public should continue to monitor all weather sources available to them. Earlier reports indicate damage and/or destruction of 4 structures on Ebenezer Church Road and 2 structures damaged or destroyed on County Line Road in extreme Southeastern Winston County. No injuries or fatalities have been reported. We will continue to keep you posted throughout the evening if weather conditions worsen... Thanks again to our sponsors including Bennett's Do-It Center, Louisville Medical Associates, Farm Bureau Clean-Pro and GT Physical Therapy... just to name a few!!! Weather Alert for Tuesday Evening & Wednesday Morning!! Residents of Winston County should take weather precautions for later today and this evening. A strong storm system is moving across Louisiana and south and central Mississippi though out today and this evening and well into the early morning hours of Wednesday. Time of concern for our immediate area is after 5 pm and the significant threat may be as late as 9:00 pm or later. Storms can and will likely produce heavy rain, high winds and possible hail and tornado activity of EF2 or EF3 in nature. Hail up to 1/4 inch and winds up to 60 mph are possible. This system could cause hazardous weather conditions until 4pm or later on Wednesday morning. We'll update throughout the day and evening on Facebook and Twitter. Again we want to say thank you to our local sponsors for their support!!! RUNOFF ELECTION NOVEMBER 29,2016. 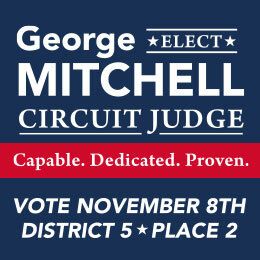 Circuit Clerk's Office is open Monday through Friday 8 to 5 and next 2 Saturdays 8 to 12 accepting absentee voting. Bring your photo id. Voting on Nonpartisan Ms Supreme Court Judge District 3 (John Brady or Bobby Chamberlin) and Nonpartisan Court of Appeal Judge District 3 (Ed Hannan or Jack Wilson). 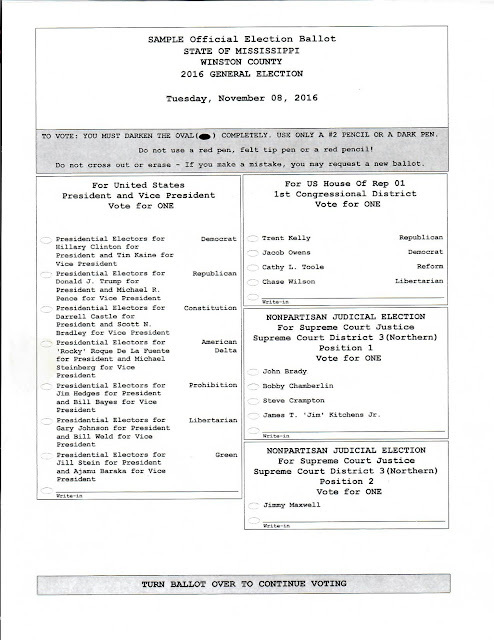 Picture of sample ballot below. Jenifer Faith was nominated for Employee of the Month for November at Winston Medical Center.Jenifer is a Physical Therapy Assistant who works in the Winston Therapy Services Department and has been employed with Winston Medical Center since 2010. Jenifer is known for her strong heart to serve others and always carries a smile. Jenifer has four children Shelby, Abigail, Lucie and Zach. They reside in Louisville, Mississippi. Louisville, Mississippi, November 17, 2016 – Winston Medical Center today announced it has been recognized by iVantage Health Analytics and the National Organization of State Office of Rural Health (NOSORH) for overall excellence in Strength Index and Strength Index Quality reflecting top quartile performance among all rural acute care hospitals in the nation. The Nanih Waiya Chapter of the Daughters of the American Revolution hosted a luncheon at Market Cafe on Thursday, November 19, to honor and give thanks to a generation of proud Americans who saw our country through one of the most challenging missions we have ever faced. Susan Clark began the program with a welcome to all the veterans, Mary Snow read the DAR Vietnam Era Veterans Proclamation and Joan Agent presented the ceremony for the The Missing Man Table which was displayed in honor of those from Winston County who served and died during the Vietnam War. For a list of those brave men click here. Veterans who attended the event received a knife engraved with Vietnam Veteran and a Vietnam War Veteran's pin. 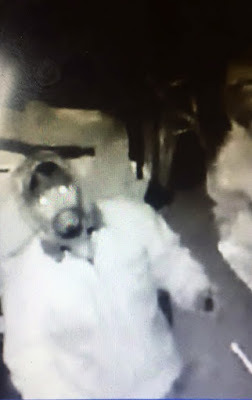 The Winston County Sheriff's Department is asking for the public's assistance relating to a burglary that occurred Sunday night and Monday morning at a property on Brooksville Road in the Singleton Community. The thieves broke into the property around 8:00 pm on Sunday night and returned later around 1:30 to 3:30 am. Various handtools, Porter Cable power tools, a Stihl chainsaw and pole saw were among the items taken. A Can Am side by side 4 wheeler was also damaged in the incident. Officers believe there were at least two individuals involved. If you have any information related to this crime, please contact the Winston County Sheriff's Office at 662-773-5881 or contact Winston County CrimeStoppers. All City trash pick up the week of Thanksgiving will stay on schedule with the exception of Thursday, November 24 (Thanksgiving Day). If your regular trash pick up day is Thursday, it will be picked up on Wednesday, November 23. The County trash pick up schedule will not change. 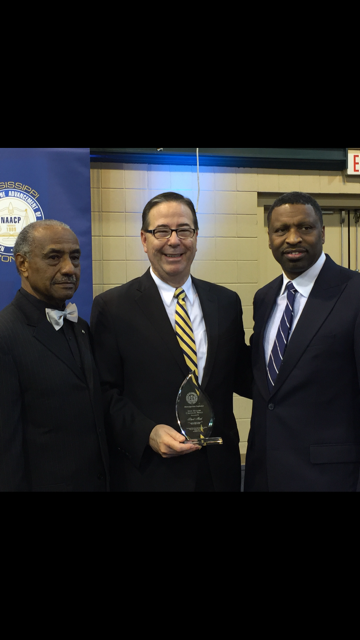 The MS State Conference NAACP’s 71st Annual Convention & Policy Institute took place November 10-12, 2016, at the Natchez Convention Center in Natchez, MS.
Mr. David Morel, Vice-President of Human Resources and Community Relations for Winston Plywood and Veneer, was the recipient of the prestigious Jerry Mauldin Corporate Award. The award was presented to Mr. Morel at the NAACP’s Freedom Fund Banquet for his demonstrated concern for civic and community affairs. 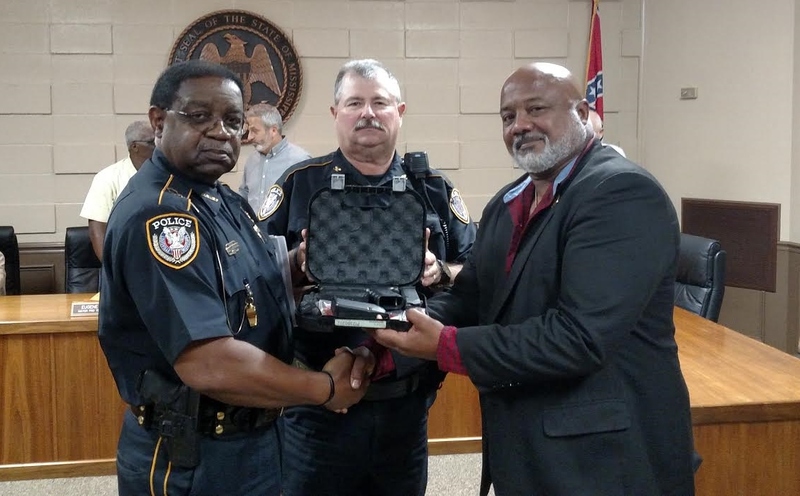 The State NAACP President, Derrick Johnson, recognized Mr. Morel’s physical, personal and compassionate outreach to the different communities in Winston County. In addition, adherence to his company’s philosophy of allowing 2nd chances was highly applauded. Mr. David Morel was nominated for this award by the Winston County Branch NAACP. Pittsburgh, PA, Nutra Manufacturing, Inc. (“Nutra”) today announced that it is initiating a nationwide, voluntary recall of one lot of GNC Women’s Ultra Mega Time Release dietary supplement product sold in 180 count containers UPC 048107158910, lot number 3044FQ2024, with an expiration date of June 2018 due to the fact the product may contain an undeclared major food allergen, milk. People who have an allergy or severe sensitivity to milk run the risk of a serious or life-threatening allergic reaction if they consume this product. 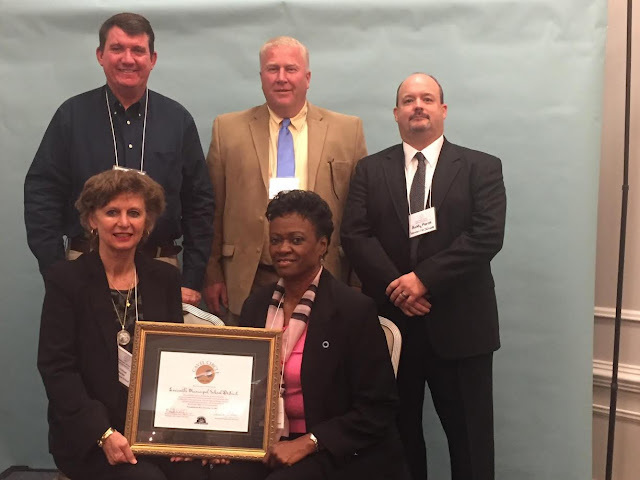 The Louisville Municipal School District and the school board members recently received the Gavel Circle Award from the Mississippi School Board Association. The award is presented to school districts and board members who have completed multiple hours of training and who belong to a District rated A, B or C. The award is presented to District board members who have made an extraordinary effort to refine their school's governing skills through continuing education, improved standards and goals. 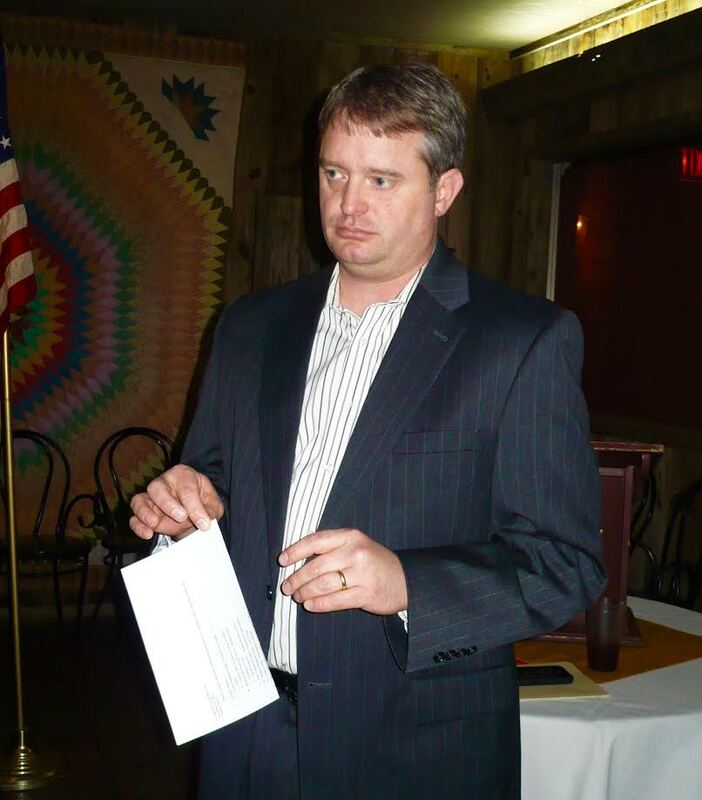 Glen Haab, Economic Development Director of Winston County, spoke to the November meeting of the Winston Garden Club about his vision of economic development for Winston County. 1. Zeke : Is a male, he has been neutered and is a very sweet baby. he is a 6 or 7 year old lab mix. 2. 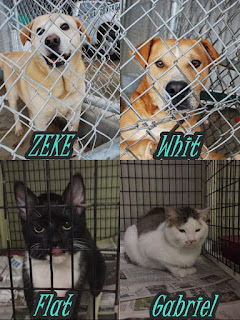 Whit : Is a yellow Lab mix male and has been neutered. He is around a year old and a very sweet dog. 3. Flat : Is a male, has been neutered , very loving and needs a home where he can run around free. He is 6 months old. 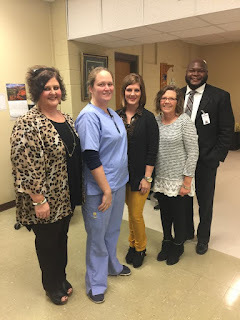 Winston Medical Center nominated Amanda Easley for October Employee of the Month. Amanda has been employed at Winston Medical Center since 2014 and works in the Health Information Department. Amanda is married to Dusty Easley and they have two sons, Ethan and Levi. Congratulations to Amanda Easley for being the October Employee of the Month. 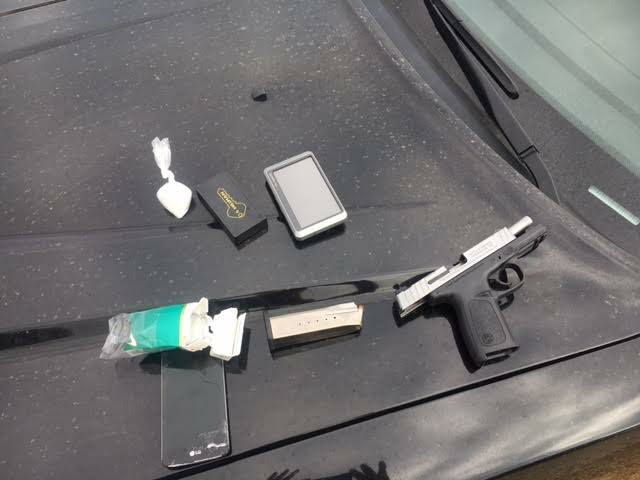 intercepted a drug delivery at around 11:00 am in the Center Ridge area. Two suspects were apprehended south of Louisville. James Antwoine Moore of Neshoba County and Roger Eugene Evans of Lauderdale County were charged with possession of methamphetamines with intent to distribute. Evans was also charged with misdemeanor possession of marijuana. Officials confiscated approximately 20.6 grams of meth. Moore and Evans have outstanding warrants in other counties. Both are in custody at the Winston Choctaw County Correctional Facility. The Friends of Dean Park, Inc. (FODP) announces the winner of A GET-A-WAY WEEKEND FOR 2 AT Lake Tiak O’Khata. Melvin Arterberry of Ackerman, MS joyfully accepted the gift after making a donation to the nonprofit organization. He is pictured here with Elder Richard Moncrief, President of the Friends of Dean Park, Inc. FODP accepts donations at Walmart once quarterly. They would like to thank Carmen White, co-owner of Lake Tiak O’Khata for the gift this quarter. The group is holding its regular monthly meeting on Saturday, November 12, 2016, 11 a.m. at Dean Park’s Pavilion. You are invited to participate as the group plan for the future Ollie Dailey Community Center which will be adjacent to the park. 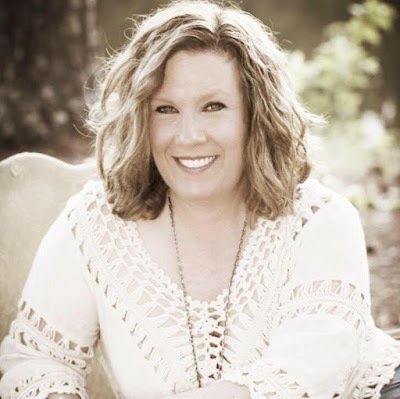 Lori Harrington, author of The Point, will hold a book signing/book talk in the Winston County Library meeting room on November 15, 2016 from 11:30 a.m. - 1:30 p.m. Free brown bag lunches will be provided to the first 30 participants, courtesy of the Friends of the Library. Born an Reared in Mississippi, Lori Harrington loves the South and all the charms its borders provide. As a teenager, Lori was interested in writing, but like many southern girls, she was swept away by a southern gentleman. Lori married and had children, allowing her dream of writing to become stagnant. 31 years later, Lori and her husband have three children and two grandchildren. Blissfully happy, Lori has experienced enduring love her entire life, and yet, pushed aside dreams don't die. For Lori, writing is a constant friend. She didn't choose to be a writer---writing is a part of who she is, who she has been, and who she has become. Lori loves to create, and her passion immersed her in music, theater, and writing. She also has a burning desire to help women overcome obstacles, a characteristic she attributes to her southern roots. 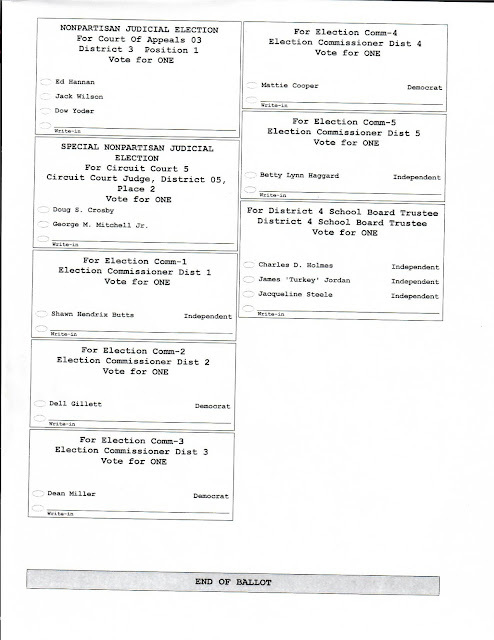 Uncontested offices will not be reported except on written data updates posted on the website. Totals for each contested office will be reported as quickly as possible. As time allows a written summary by polling location will be posted to the website, Twitter and Facebook. 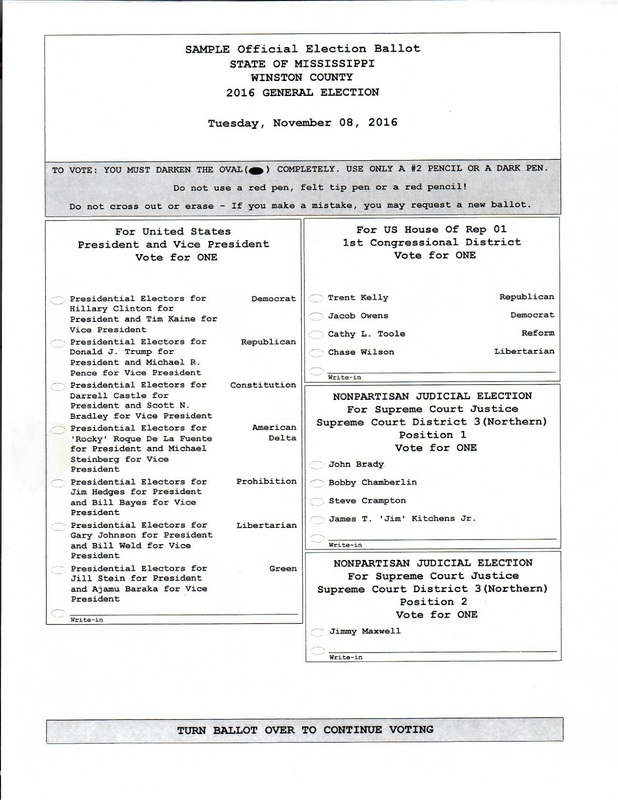 Absentee ballots will not be included until final totals are available. We would like to take the opportunity to thank our sponsors that make it possible for us to provide this service. 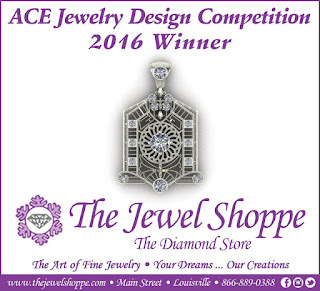 They include: Winston Medical Center, Citizen's Bank, Farm Bureau Insurance, Bennett's Do-It Center, GT Physical Therapy, Louisville Medical, Porter Funeral Home, CleanPro,The Jewel Shoppe, Nowell Massey Funeral Home, Barbara's Place, The Winston County Chamber of Commerce. The Winston County Library will be closed this Friday, November 11, 2016 in honor of Veteran’s Day. 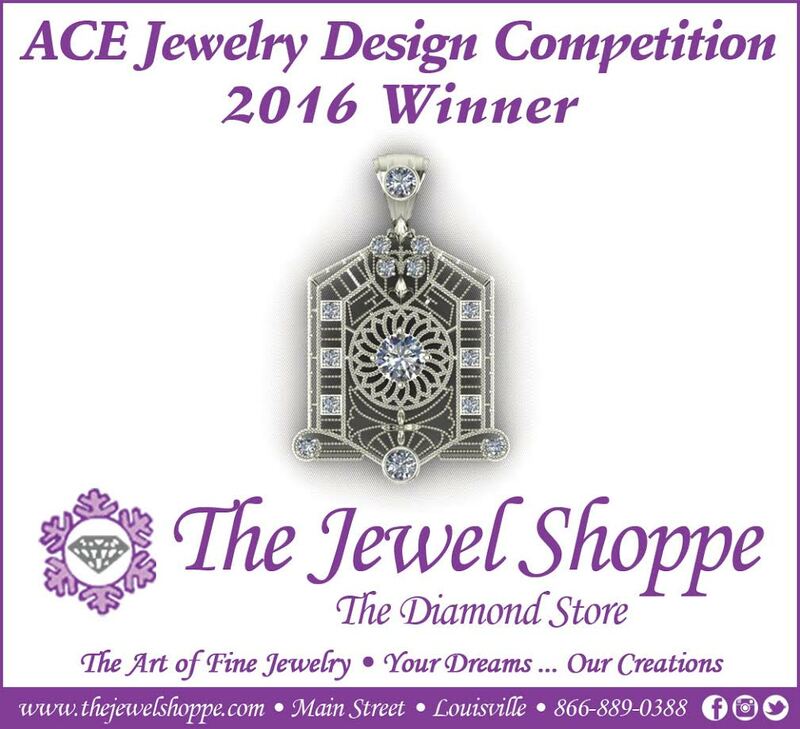 They will re-open on Saturday, November 12, 2016 from 8:30 – 12:00. Congratulations to the following Winston County DAR Good Citizens for this year : Asia Eichelberger from Louisville High School, Jillian Gregory from Nanih Waiya, Clay Mercer from Winston Academy and Brooke Gillis from Grace Christian School. 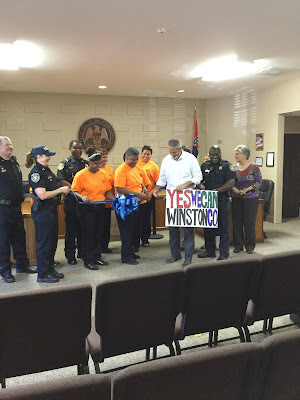 The Louisville Police Department in conjunction with Community Counseling Services and The Mississippi Department of Mental Health held a brief ribbon cutting ceremony on November 3, 2016. They introduced the new Med-Return Drug Disposal Kiosk where citizens can dispose of unuse​​d or expired medication safely, easily, confidentially, and for free. The kiosk is located in the police station waiting room and open to all residents, 24 hours a day, seven days a week-- no questions asked. This is a safe, effective, and sustainable way to dispose of prescription substances. The following are prescriptions that are listed on the front of the kiosk that can or cannot be accepted. Prescriptions, Prescription Patches, Prescription Medications, Prescription Ointments, Over-the-counter medications, Vitamins, Samples and Medication for pets. Hydrogen Peroxide, Thermometers, Needles (Sharps), Aerosol cans, Ointments, Lotions or Liquids, Medications from Businesses or Clinics, Inhalers. For more information call 662-295-1633. Winston County Library children’s librarian Andrea Howard hosted a Halloween Party for the children of Hudson’s Daycare. 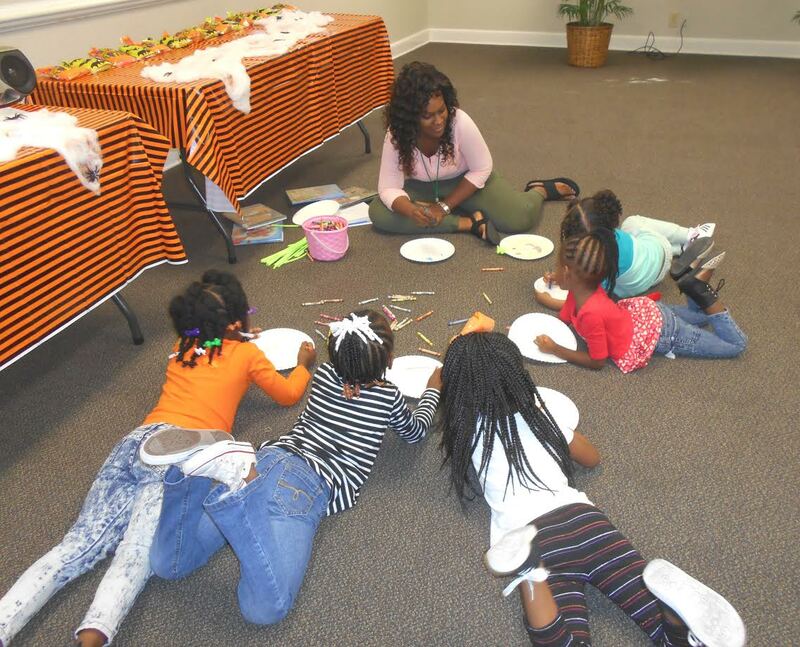 They read books, sang songs, did crafts and enjoyed treats. The polls open tomorrow, Tuesday, November 8 at 7:00 am and close at 7:00 pm. 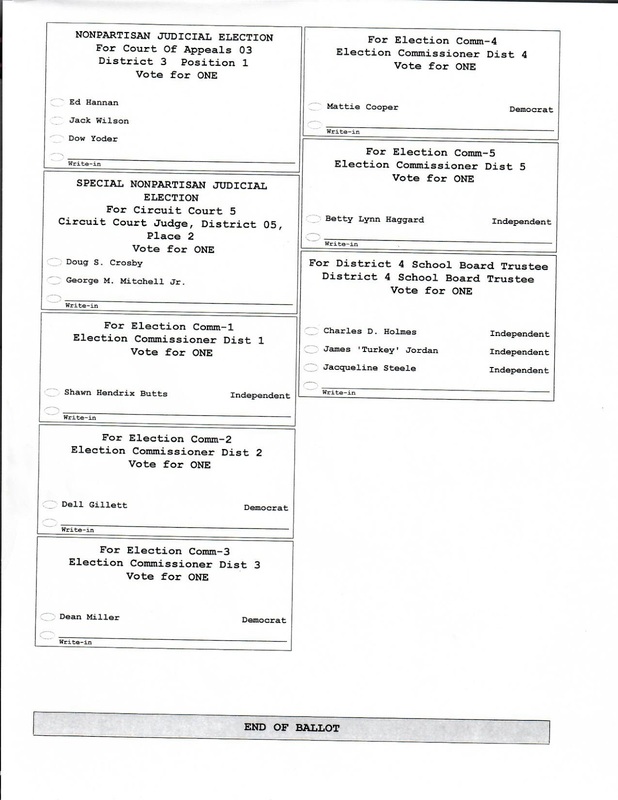 Below is a sample ballot for residents of Winston County. Election Commissioners and District 4 School Board are specific to districts within the county and will not appear on all ballots. Click on the image to enlarge if necessary. The Board received an update on the construction progress of the Winston County Medical Center. Work is on schedule and the administrative and clinic buildings are expected to be completed by the end of the year. The hospital itself is on schedule. Some inspections are in process now with sheetrock and painting work going on. Construction of the nursing home community houses is well underway and everything is indicating a completion date of April 28th. The Board also approved to request advertising for bids for work at Dean Park which includes the lights at the baseball field. The supervisors met with County Engineer Jimmy Kemp and received an update on several projects including the Noxubee Hills Scenic byway and the submission of a biennial report of the project. The Board was also updated on the status of the new radio system to be implemented by the county. The Dispatch configuration should be completed this week and hopefully the radio system will be in place and training begin soon. After discussion with the County Attorney, the Board also approved a slight increase in daily rates to Alliance Health Care in Meridian for mental commitments by the county. County Attorney Hathorn indicated that given the current situation in Mississippi and the lack of state facilities, the County had little alternative but to utilize Alliance in some situations. The Board acknowledged a request for extensions for several FEMA projects that included the Annex project, parts of Dean Park and parts of the Teters Building. The Board also acknowledged a resolution by the Talladega Watershed District to reimburse some property owners due to overcharges in the previous year’s assessment. The funds to reimburse will come from the district’s funds and not from County funds. EMA director Buddy King informed the Board of the seriousness of the drought situation in the county - noting the county burn ban had been extended till at least November 18th and encouraged supervisors and the media to inform people of the dangers and the seriousness of the situation. Given the extended dry weather, almost anthing can start a fire. King asked the public to be careful with trash burning, cigarettes and any kind of activity that might create sparks. 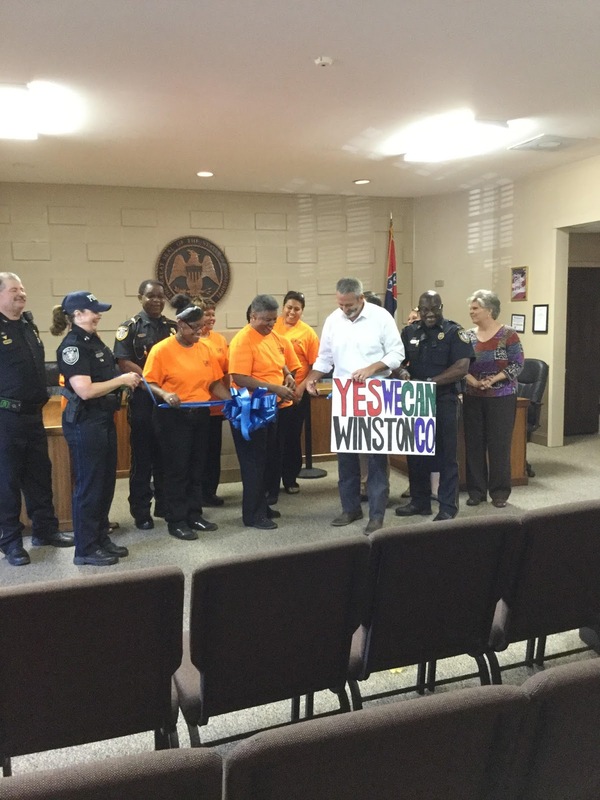 Winston County honored their local Veterans with a parade and program on Saturday, November 5. The morning kicked off as the Louisville Pilot Club provided a brunch for the veterans at the Louisville Chamber of Commerce Offices before the parade. Parade participants followed a route on Main Street to the program location on South Columbus Avenue. The program included a welcome by the Mayors of Louisville and Noxapater, a moving poem from Reverend Mike Dowd, a Vietnam veteran and a number of musical performers that included the "Melody Makers" from Fair Elementary, Nick Reed and Bob Burchfield and Tracy McCully. The program ended with the playing of Taps. The program is a yearly event in recognition of our Country's veterans. More photos of the event can be seen on our Photos Page by clicking here and on our Facebook page. Our Facebook page includes video clips of some of the performances as well. 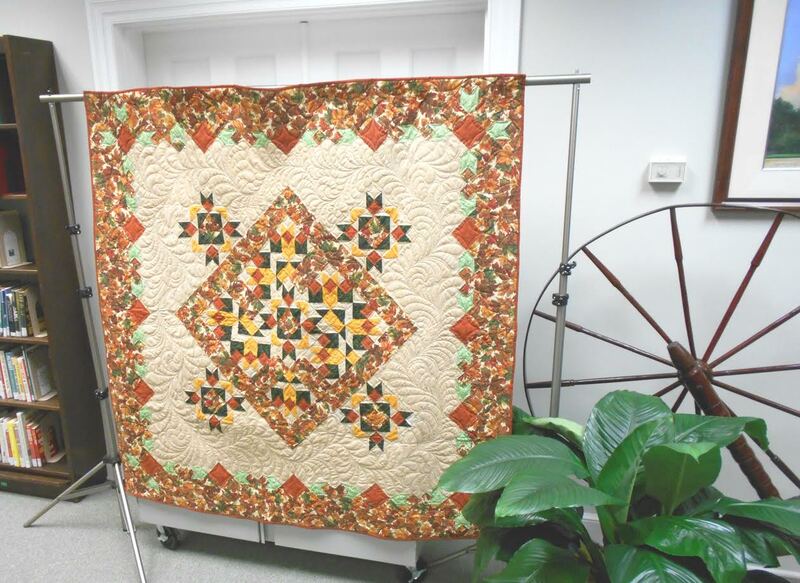 This beautiful “Irish Chain” quilt was pieced in 1893 by Sarah Ann Blue. It was handed down to her granddaughter Mrs. Annie Beth Smyth. Mrs. Annie Beth gave it to her son Henry Davis and is now owned by Henry Davis’s daughter Barbara Davis Woodward. 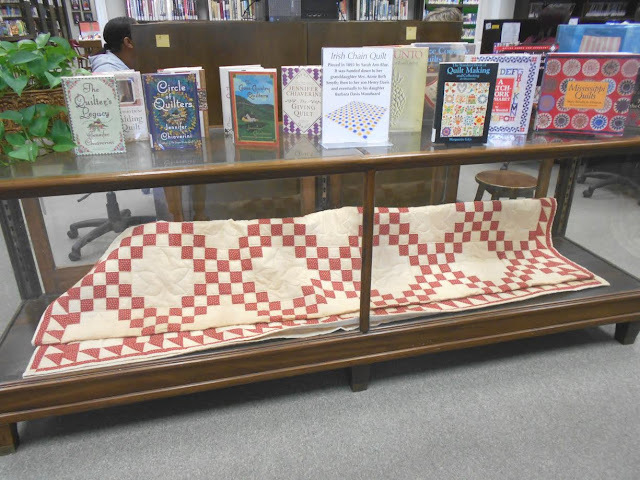 It is on display during the month of November at the Winston County Library. Lieutenant Governor Tate Reeves was in Louisville on Wednesday as he spoke to the Louisville Rotary Club. 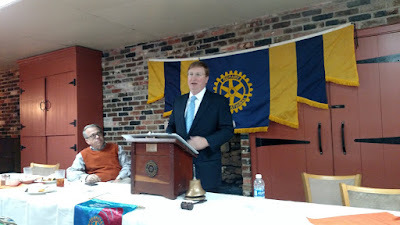 Reeves took the opportunity to speak of the legislative process and the three major factors that he sought when considering the passage of legislation. This included being fiscally responsible, considerations for the tax effects and the economic development effect across Mississippi and the need to improve education - to invest and reform our educational system. The Louisville Rotary Club meet every Wednesday at Lake Tiak O'Khata. "The Annual Angel Tree has started for 2016. The Angels are at the Winston County Library. They range from infant to teens. Please help the needy children in Winston County, by adopting an Angel today! All Angels need to be adopted and delivered to the Winston County Chamber Office beginning November 14th thru December 2nd, 2016. Drop off times will be Monday-Friday from 9:00 am-4:00 pm. Office closes from 12:00 til 1:30 each day for lunch. The board held hearings on two unclean properties. Both properties were found to be in violation of city code and the owners have until November 15th to clean the properties or the city will take action and bill the property owners. The properties include 790 North Columbus Avenue and 501 Metts Street. Mayor Will Hill inform the board that the Winston Plywood Project was 99% complete with a few construction issues to resolve but that these issues do not hinder the operation of the plant. Hill noted that operation is underway and product is going out of the facility. At this time, the Plant is employing 243 individuals. The Board also heard from Elena Lovorn who is serving in her second year as Mayor of the Mayor's Youth Council in Louisville. She informed the board of the upcoming Council Summit to be held at Delta State next year. Mayor Hill also inform the Board that the street and drainage projects that have been delayed for an extended period of time due to FEMA regulations is now almost ready to begin. A contractor has been selected and subcontractors may begin on some of the drainage projects as early as next week. Completion of these phases will be dependent upon the weather over the next few months. The Board and the Louisville Police Department took the opportunity to correct an issue related to the retirement of Gerald Hayes from the Louisville Police Department in 2014. Hayes' retirement came immediately after the April 2014 tornado and in the turmoil that followed, Hayes did not receive the opportunity to obtain his service weapon which is typical upon retirement of police officers. Police Chief L.M.Claiborne and Assistant Chief Andy Taylor presented the weapon to Hayes at the end of the board meeting. The board also adopted a purchasing policy for the city that falls in line with state purchasing requirements, authorized payment to Century Construction for work on the landfill, authorized to advertisement for a bank depository for City funds, accepted the resignation of Police Officer Kevin Rushing and provided authorization to advertise for employment of a new officer. Trunk or Treat At Louisville Coliseum Was A Hit!